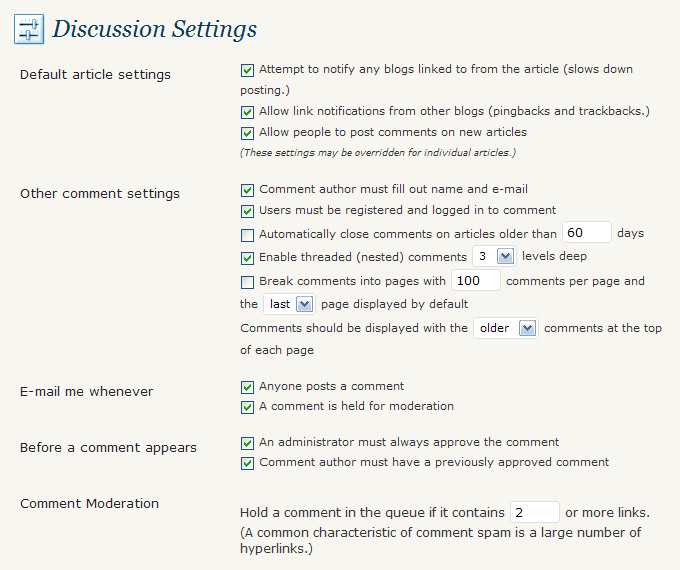 FV Thoughtful Comments is not interfering with all the default WordPress discussion settings, it's cooperating by adding some extra routines and options. Therefore is important to understand that most of the discussion settings is still located in the default WordPress Discussion Setting admin panel screen (Settings/Discussion). An extremely powerful anti-spam plugin for WordPress that eliminates comment spam, including trackback and pingback spam. It works invisibly without CAPTCHA’s, or other inconvenience to site visitors. Allows readers to receive notifications of new comments that are posted to an entry. This may be a little bit older plugin, but it's still doing its job. If your blog is facing a lot of spam or unwanted/inappropriate comments (typically political debates) you might want to go even further. 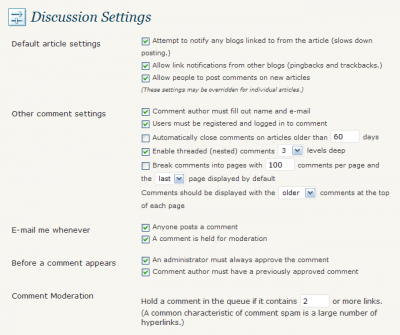 By using these setting you will be able to put certain users out of moderation with FV Thoughtful Comments and also approve the comments when visiting the post (no need to go to WordPress Administration panels to do it).